Holding an event at Highclere Castle will leave a special memory long after the occasion has passed. 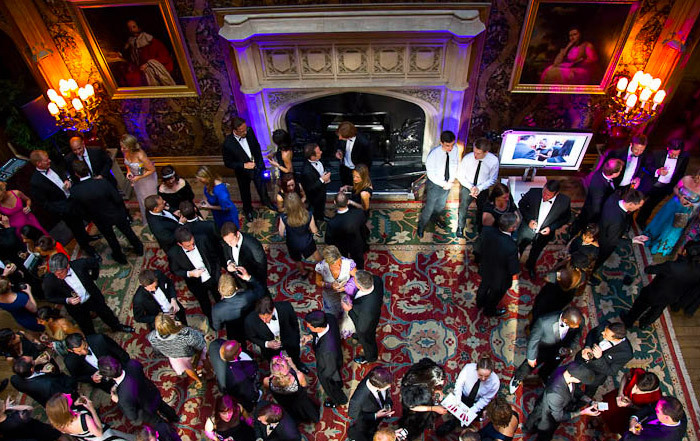 The famous backdrop of the Castle is the perfect setting to launch a new product or host an award ceremony. Welcome your guests to this most famous Castle to see the unique wall coverings of the Saloon, or the intricate wood carvings in the Library and the outstanding art in the Dining Room. Make an impression, and give your clients an evening to remember. Our team will work with you to create a unique event to suit and endorse your brand identity.